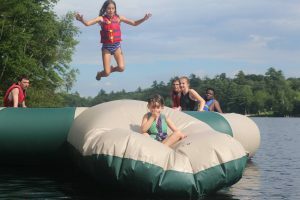 Start Planning Now for Summer 2018 with Huge Partner Discounts at Camp Quinebarge – Carbonfund.org’s Premier Co-ed Traditional NH Summer Camp! Carbonfund.org is pleased to offer our donors, supporters, and business partners a great deal and a deep discount for summer 2018 camping sessions at our Camp Quinebarge! Plan now for next summer’s fun for your kiddos, employees’ kids, or deserving children in your community that you might want to sponsor. Camp Quinebarge is a traditional New England summer camp established in 1936 in the Lakes and White Mountains regions of New Hampshire. Quinebarge provides a summer of fun activities, forming lifelong friendships, learning new skills, developing environmental awareness and education, and having amazing adventures across 65 acres of woodlands and 1,250 ft of waterfront on pristine Lake Kanasatka. Campers come from all over the US and internationally (Spain, France, the UK, Mexico, China and more) and range in age from 7-15. 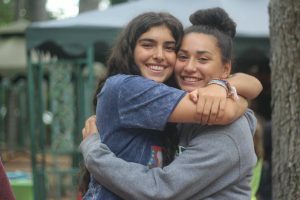 CITs enjoy a leadership program at 16. Please visit us online here, or for a complete look at our program, please check out our camp video. Quinebarge welcomes 100-125 campers per two week session. Campers live in cabins with 6-8 other campers and their counselors. They enjoy a wide range of activities including sports, horseback riding, arts and crafts, swimming, nature, woodshop, boating, a robust trips program, and much, much more. Until December 31st, Quinebarge is offering special tuition rates 25% lower than in 2017. As a further bonus thank you, we are offering Carbonfund.org’s partners and donors an additional 20% off tuition for campers who are new to Quinebarge. A deposit of $500 reserves your spot and is fully refundable until January 31st, 2018. For more information, please visit us on our website, email fun@campquinebarge.com, or call us at 603-253-6029. If you’re looking for a premier summer camp experience, please consider Camp Quinebarge for your child. To receive the 20% discount, simply enter the code CARBON2018 when you register online. 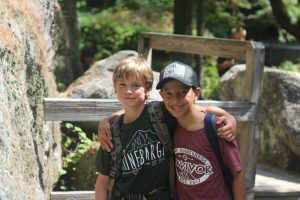 Quinebarge inspires campers to challenge themselves and to try new activities in a safe and supportive setting with staff helping each child grow, learn and achieve their goals. Whether it’s learning to ride a horse or working together to scale a 10-foot wall, we foster a spirit of adventure and community. A respect for nature is embedded into our rich tradition of camp life that includes outdoor activities, campfires, songs, skits and cabin living. Our staff are trained extensively before and throughout the camp season to ensure the physical and mental well-being of every child. Nestled on 65 acres of pristine forest and 1,250’ of beautiful and clean Lake Kanasatka, Camp Quinebarge is the ideal place to introduce children to our environment and what we can do to become good stewards of the planet. Camp Quinebarge maintains the traditional camp experience while enhancing it with environmental themes and activities along the way.